Spacious, cozy, and packed with remarkable features, the 2019 Hyundai Santa Fe is a must-see vehicle. This vehicle is designed to tackle the road ahead, while also keeping riders entertained and safe. This roomy crossover can be yours this spring when you shop with NY Autobrokers! To learn more about the 2019 Hyundai Santa Fe, just continue reading this blog post. The standard 2019 Hyundai Santa Fe is powered by a 2.4-liter four-cylinder engine. This engine provides power and acceleration that is enjoyable to drivers. This engine is mated to an eight-speed automatic transmission, which shifts smoothly and responsively. Drivers looking for a fun to drive vehicle that is also easy to operate can find what they’re seeking in the 2019 Santa Fe. The interior of the 2019 Hyundai Santa Fe is another highlight of this vehicle. The 2019 Santa Fe has variable-density front seats, made with three different types of cushioning for the most comfortable feel possible. The seats are wide and supportive as well, helping riders feel cozy during long drives. The Santa Fe comes standard with cloth upholstery seats, but leather seating surfaces are available on higher trim levels. When it comes to tech, the 2019 Hyundai Santa Fe delivers. The vehicle comes standard with a 7-inch touchscreen, which is positioned right above the center vents and air conditioning controls. This infotainment touchscreen allows drivers to access navigation, make hands-free phone calls, utilize voice commands, and so on. Riders can also utilize the optional dual-zone automatic air conditioning system to keep the cabin comfortable for everyone. 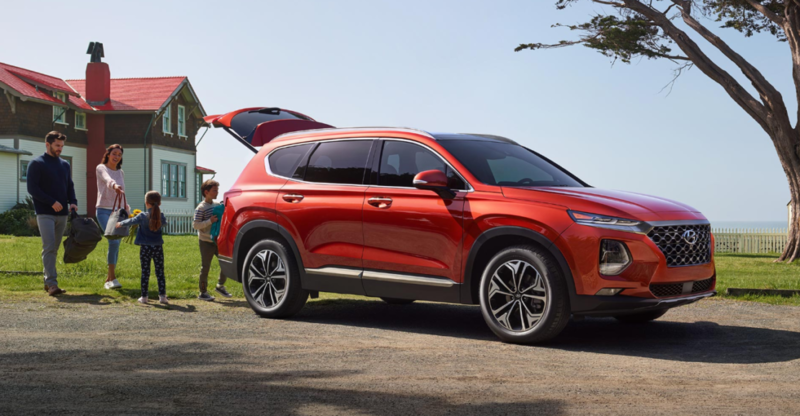 Check out the 2019 Hyundai Santa Fe this spring at New York Autobrokers. You can get in touch with us by calling 631-446-4455, or you can email us at info@nyautobrokers.net. We hope to work with you soon!